Down the Rabbit Hole episode 6 has a special guest from far away, Anna, co-host in another Dark Mind’s radio podcast, Synapse. Joins us to talk about a very interesting and ancient topic: Gaia. And we start with understanding where this word and concept came from. The Gaia (pronounced GAY-ah) hypothesis is the idea that Earth is a living organism and can regulate its own environment. 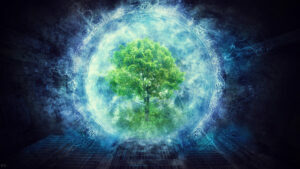 This idea argues that Earth is able to maintain conditions that are favorable for life to survive on it, and that it is the living things on Earth that give the planet this ability. Gaia is the name of the Greek goddess of Earth and mother of the Titans. In modern times, the name has come to symbolize “Earth Mother” or “Living Earth”. Regarding this Anna explains to us that the cult to the goddess mother is one of the first cults of humanity going back even to neolithic times where small figures were carved. In most cultures Earth was seen very graphic and thinking of it as a woman, as the mother that gives us the place we live in. After talking about ancient history and Gaia we came back to Lovelock. He eventually went beyond the notion that life can change the environment and proposed the controversial Gaia hypothesis. He said that Gaia is the “Living Earth” and that Earth itself should be viewed as being alive. Like any living thing, it always strives to maintain constant or stable conditions for itself, called homeostasis(pronounced hoe-mee-o-STAY-sis). In the Gaia hypothesis, it is the presence and activities of life that keep Earth in homeostasis and allow it to regulate its systems and maintain steady-state conditions. All this took us to talk about the concept of the Extinction Bootle-neck. Question: Do you think Humans are a kind of infection to Earth? Let us know what do you think! Since humans seems to be interfering in the natural state of Earth, then Gaia itself has a mechanism to make control of the damages and heal itself, this is where the Extension Bottle-neck concepts is formed, where earth itself would get rid of overpopulation or handle problems like excessive CO2, etc. Mycorrhizae: a fascinating example of synergy, sometimes called the ‘Earth’s Internet’ Key to the fertilising power of plants were the fungi in their root systems. These “mycorrhizae” evolved around 500 million years ago, before plants had even evolved roots. Mycorrhizae also form huge networks, which stabilize the structure of the soil and enable plants to communicate. 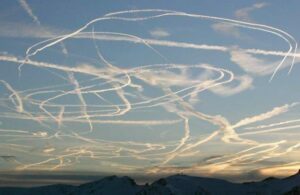 We couldn’t go without talking about global warming and if the project HAARP (High-Frequency Active Auroral Research Program) has something to do with this and trying to control the weather. Listen to all the episode details and fun we go through! Don’t forget to listen next week’s episode where we talk the science of Gaia.